Sundays are for sleeping in, brunching late and baking something delicious. So last Sunday I picked out a recipe and did a test run. I initially wanted to use this recipe, but because I can never properly follow a recipe, I made some changes. Because of the little changes I made, these cookies turned out to taste like a Chai latte. SO YUMMY. 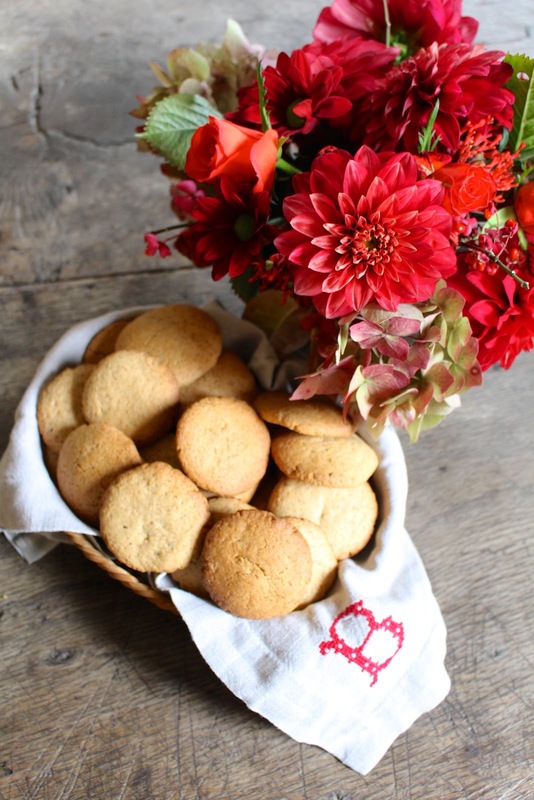 The perfect cookies for autumn: spiced, sweet, crunchy, soft and best enjoyed warm with a cup of tea/coffee. 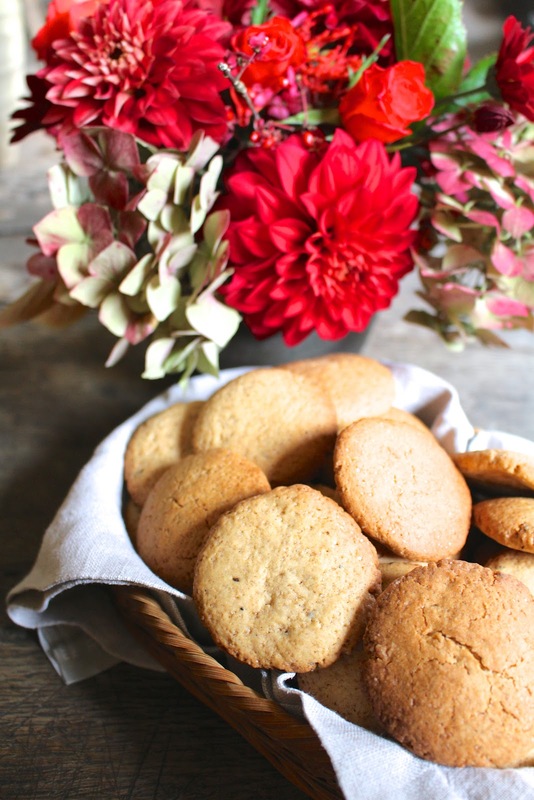 If you don't have any plans this Sunday, I can highly recommend making these Chai spiced cookies, you won't regret it! Start by preheating the oven to 180 degrees. Use an electric whisk to combine the soft butter and sugar in a bowl. After that, add the egg, water and ginger syrup and whisk until it's all incorporated and smooth. In another bowl, sift all the dry ingredients - flour, baking soda, cinnamon, ground cloves, cardamom. Add the butter-sugar mixture to the dry ingredients, combine with a spoon and then use your hands to combine and knead everything well. Add more flour if the dough feels too sticky or add a little water if the dough is too dry. You should be able to make non-sticky little balls of dough. The glass might stick a little bit to the dough but you can easily 'peel' the dough off and place it on the tray. Do this to all the dough and place all cookies on the tray, with some space in between. Now it's time to pop them in the oven for around 10 minutes. Make sure to keep an eye on them! When your kitchen starts to smell like Christmas, Chai lattes and cookies, it's time to take those babies out of the oven. Leave them to cool on a wire rack but also make sure to eat some when they are still warm, that's the best! Place them in a little basket so everyone can enjoy them :) Put them in a closed box if you want to keep them for a few days. Though these taste best when they are fresh! These cookies are kind of like your regular cookie, but then with much more flavour. All the spices make for the perfect combination, and really give the cookies that Chai kind of flavour. The texture is perfect as well: crunchy on the edges but soft on the inside. Let's also take a moment to appreciate these flowers, I'm so pleased with my autumnal bouquet! 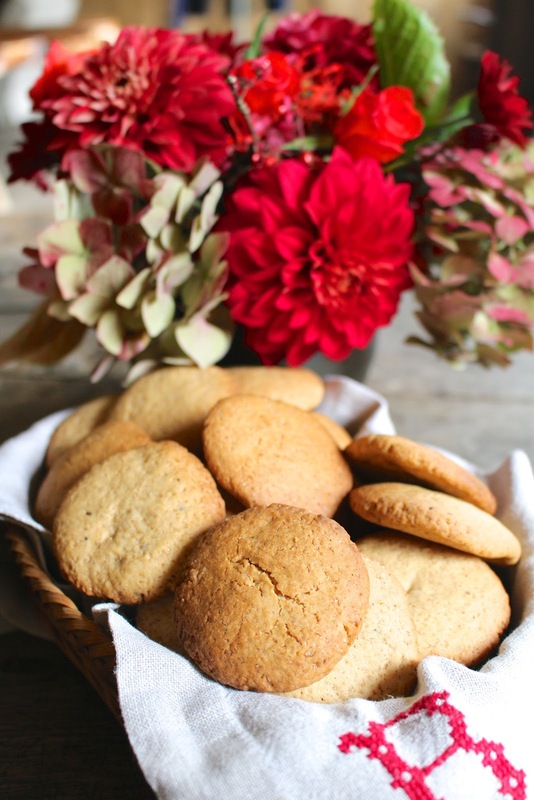 Promise me to make these cookies, they are really perfect for fall! If you like Chai latte, you will LOVE these.